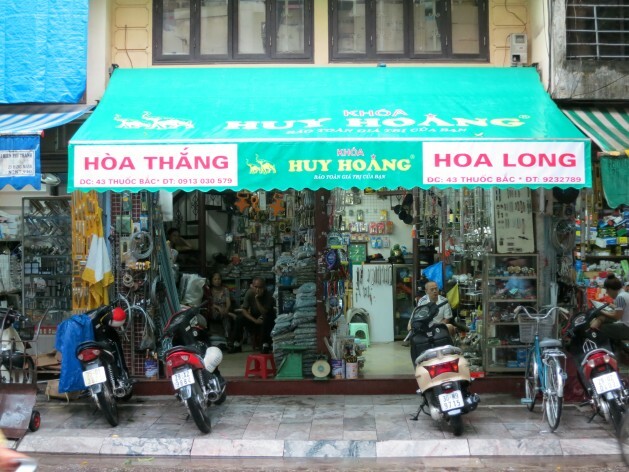 Above: Huy Hoang, 43 Thuoc Bac, Hanoi, Vietnam. Shopfront width: 4.82m (15’10”) for both. I didn’t pop in to sneak a look, but this could actually be two shops. I know the signage makes it look like one but there’s a partition wall there. It could be just to create more racking space and we actually have a door connecting the people, and that they’ve had to post people on both sides of the shop.